Viz has released the first part of the Bleach Blu-ray boxsets. The first set contains the initial 27 episodes of the series. The episodes are uncut and have both an English dub along with Japanese 2.0 audio. San Francisco, CA, July 29, 2016 – VIZ Media, LLC (VIZ Media), a premier company in the field of publishing, animation distribution, and global entertainment licensing, unleashes the tense anime action drama of BLEACH on Blu-ray for the first time with the home media release of Set 1. 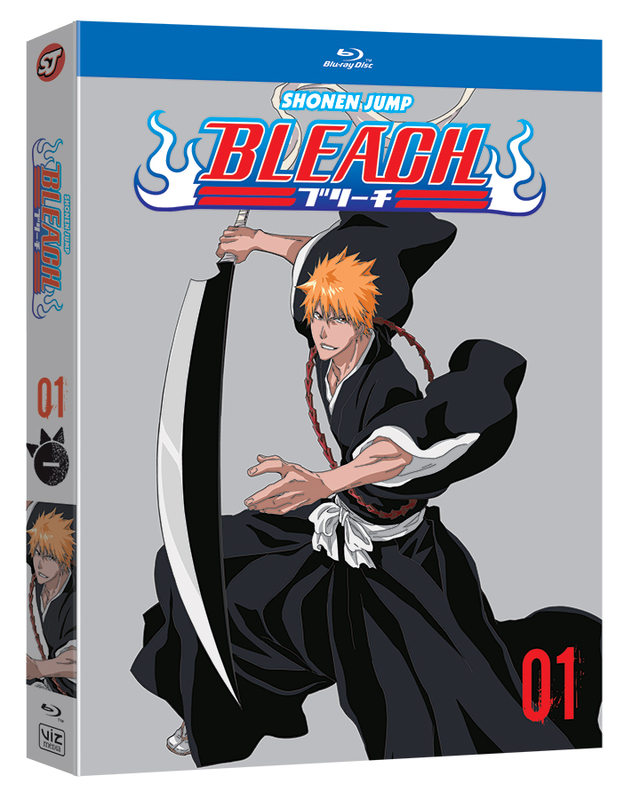 Now available, BLEACH Set 1 presents the complete, uncut first 27 episodes of the popular series on 4 Blu-ray discs, and carries an MSRP of $54.97 U.S. / $63.99 CAN. Episodes are available with dialogue selections for dubbed English as well as subtitled, Japanese 2.0 audio, with episodes presented in their original 4:3 .